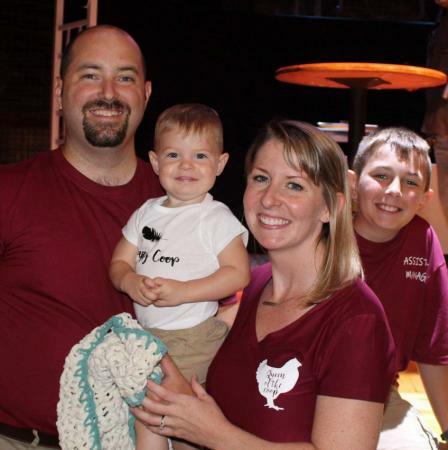 Laci Todd and her family recently opened The Crafty Coop in downtown Macomb. Linda Putnam, of Monmouth, opened her own salsa business with the help of the IL-SBDC. MACOMB, IL – Navigating the path to opening a small business can be challenging without a place to turn for advice as questions arise. The Illinois Small Business Development Center at Western Illinois University (IL-SBDC at WIU) is that bridge small business owners need to move their professional vision into their dream of their own business. The IL-SBDC at WIU has offices on the Macomb and Quad Cities campuses and is a free resource to anyone seeking to open a small business. Director Jim Boyd says the office defines a small business as one that has less than 500 employees and $7-$10 million in projected annual revenue. In recent years, the IL-SBDC has helped numerous people open the doors to their independent businesses across the 22 Illinois counties it provides services to. There are nearly 40 small business development centers covering the state under the umbrella of and with grants from the Illinois Department of Commerce and Economic Opportunity. The offices at Western Illinois University offer business owners help through every step of the process, including cost analysis, inventory control, financing, pricing, website development and accounting. The IL-SBDC is part of the Illinois Institute for Rural Affairs (IIRA) at WIU. Both offices opened at Western in 1989. Laci Todd, a 2012 WIU graduate, opened her business, The Crafty Coop, in downtown Macomb in 2018. The IL-SBDC helped Todd write her business plan and pointed her in the right direction to get the doors to her business open. Todd's business is a pottery and craft studio where customers can paint their own pieces for kiln firing. She also offers party packages and workshops. The initial plan for her business was born during classes and a competition by the Macomb Downtown Development Corporation for aspiring businesses, which she placed third in. "I have never owned my own business, so having a resource to reach out to with questions was invaluable," said Todd. "I had dreamed of opening a studio, but without the Downtown Development classes/competition, and help from the IL-SBDC in 2018, I would have never known where to start. The help, encouragement and positive feedback really kept me motivated." Todd said owning The Crafty Coop has made her appreciate the hard work and dedication it takes to run a small business. "I love it so far and it's the best job ever, in my opinion, getting to help people be creative and make memories," she said. "I couldn't have done any of this without the help and support of my husband and family. 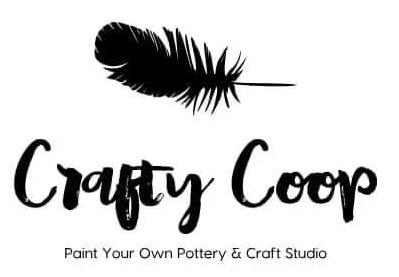 I can't wait to see what 2019 has in store for my little dream come true, The Crafty Coop, LLC." The office has seen numerous successes over those nearly 30 years. Six years ago, Linda Putnam, of Monmouth, IL, contacted the center after deciding she wanted to open her own center. 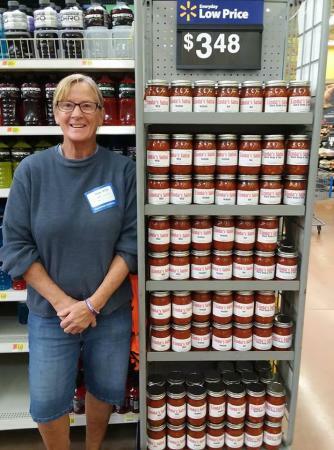 She needed general help in creating a business plan for developing her own line of salsa, now named "Linda's Salsa." "We worked with her off and on at her request, including with marketing and determining whether her cost of goods made sense," said Boyd. "We were with her during every step of the process and now she has product in 70-72 grocery stores, including Hy-Vee, Fairway, Schnucks and Walmart stores in this region." Putnam said Boyd has helped her with business advice since she started her salsa company. "He is familiar with so many aspects of business and has helped guide me in the right direction," said Putnam. "He has also been a good listener when things didn't work and helped figure things out. He is almost always the first I go to for advice." Boyd said one of the most important roles the IL-SBDC plays with those it works with is that of cheerleader. "A lot of our support was just being there for her to call if she had a problem, just being there as someone to talk to," he said. The IL-SBDC is also working with a couple in Galesburg to open an event center in the community. "Stories like these are just more evidence the role WIU can play in economic development in a region," said IIRA Director Christopher Merrett. Boyd said the office is in the process of developing a network across the state that the business owners they work with can draw on experience of others in like businesses. The SBDC Advantage Program would match non-competing businesses with specific skill sets together so they could ask questions as their business develops. "The resources are there and we will set the network up to build the region with more available business expertise," he said. The IL-SBDC is also hosting a competition in Spring 2019 for WIU students to pitch business and product ideas to a group of judges. The WIU Pitch Competition will start with classes, beginning Tuesday, Feb. 5, and end with the pitches Monday, April 8. First place wins $1,000, but other prizes include free business consultations. Interested students must register by Thursday, Jan. 31 and registration can be completed by contacting Noah Posting at (309) 298-3039, or by email at CN-Postin@wiu.edu. For more information about the IL-SBDC, and the services it provides, call (309) 298-3040.